Microsoft rolling out a preview version of Skype for Outlook.com, that allows users to make Skype video and audio calls directly from Outlook.com while reading on emails. Skype for Outlook.com preview is now rolling out for users in UK, and it will be made available in the US and Germany in the coming weeks. 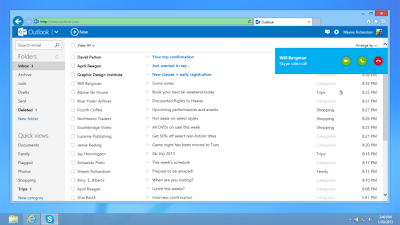 Outlook.com users should install a small browser plugin to enable Skype for outlook.com feature, plugin supports latest version of IE, Chrome and Firefox browsers. After you have downloaded the plugin, install it to your browser then connect Skype to Outlook.com using your Microsoft account. 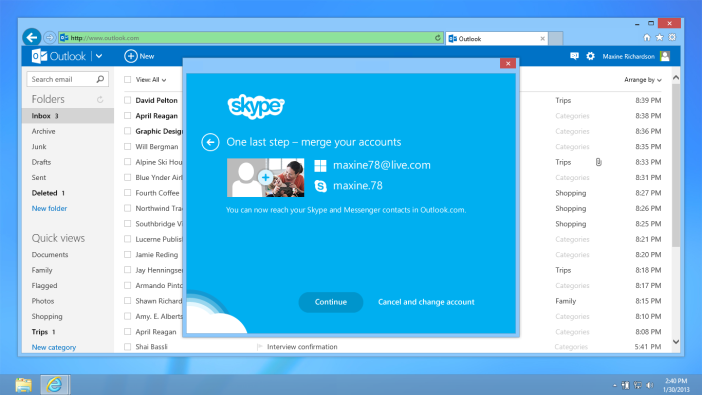 Existing Skype users can add all of your Skype contacts to Outlook.com contacts. To make Skype calls while reading an email from a friend on Outlook.com, move your mouse cursor over the friend’s picture. Then click on the Skype audio or video call buttons that appear above his or her contact details. 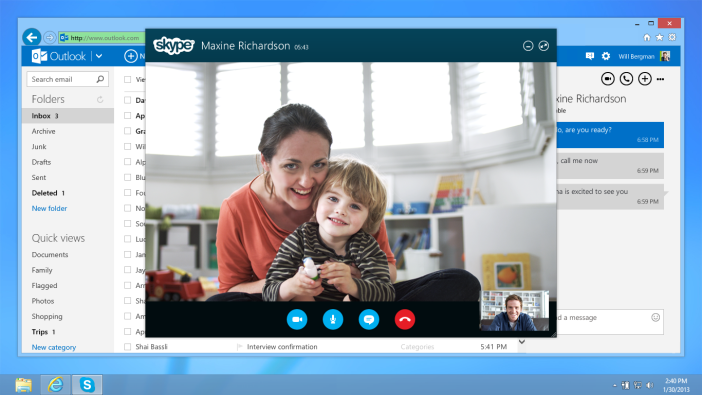 In the coming months, audio and video calling powered by Skype will be available in every Outlook.com inbox.